27.02.2015. Ashbourne Rugby Club, Ireland. Womens 6-Nations international. Ireland versus England. 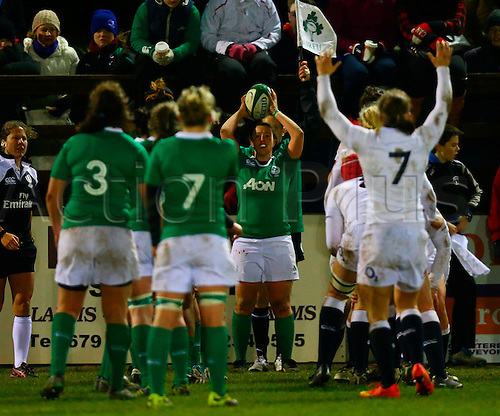 Gillian Bourke (Ireland) prepares to throw in to a lineout.